Run a 24/7 dispatching operation at a fraction of the cost with live answering services from Absent Answer. If you provide field service, technical support, emergency medical, logistics or other critical response solutions, you know how important efficient dispatching is to your operation. A slow response time, errors, or communication challenges can mean a loss in revenue, damaged relationships, and even legal liability. Absent Answer’s 24 hour dispatching services are designed to ensure you never miss a call, regardless of the time of day. Whether you’re a field service company operating nationwide or a small IT company serving local customers, our dispatching call center services can help keep your business moving around the clock. Our friendly and skilled dispatchers possess excellent communication and technical skills and are trained to record detailed, accurate messages and promptly dispatch information to the relevant personnel. Our 24/7 dispatching services help free up your staff to focus on operations, not manning the phones. And because you only pay for the time you need, using Absent Answer as your dispatching call center enables you to extend your availability without increasing costs. There’s no payroll or administrative overhead to worry about. Simply establish your account, outline instructions for dispatching your calls, and forward your phone line when you’re ready for us to start answering. It’s that simple. By establishing a third party dispatching call center solution for your business, you ensure that customers, employees, vendors, and other stakeholders always have a point of contact, even when your office is unavailable. You never have to worry about an important call getting sent to voicemail or an urgent service request being held as a routine office message. With Absent Answer, every call will be fielded live and dispatched according to your policies and procedures. Let’s explore how our dispatch answering services can help improve your operation. When your callers are experiencing an emergency, they need help right away. There’s no time to waste and little room for error. This means your phones need to be answered by a live agent 24 hours a day. Your caller doesn’t have the time or the patience to deal with voicemail or to risk their message being lost in the shuffle. They need responsive service right away. Our call dispatching services are fully customized to meet the needs of your business. We can work with you to determine which calls should be dispatched, where to refer non-urgent callers, how to deliver messages, and establish procedures for dispatching information to the appropriate personnel and ensuring they follow through and make contact with the customer. Every element of our service can be tailored to fit your needs. Every call made to your dispatching service is important, even those that result in routine messages. It’s important that every call made to your business is handled by trained agents who give callers the attention and care they deserve. From the tone of the operator’s voice to their level of understanding and ability to efficiently handle the call, every step presents an opportunity to either improve the customer experience or introduce friction and costly miscommunication. We recognize the importance of these calls and train every agent on customer service standards to ensure every call we take is handled professionally. Outsourcing your call dispatching needs to Absent Answer will not only improve the quality of your service, but reduce your costs as well. By relying upon our technology platform and staff for your call center dispatching needs, you can avoid the costs associated with maintaining your own internal dispatching operation. There’s no technology to learn, equipment to maintain, or staff to manage. We handle the details and leave you to run your business. Our call center agents are highly trained customer service representatives who manage your dispatching operation at a fraction of regular staffing costs. Having Absent Answer handle dispatching call center needs is easier than you think. It’s as simple as establishing your account instructions, training our team, and then forwarding your phone lines whenever you want our agents to answer and dispatch calls on your behalf. You can turn your calls over to Absent Answer at the same time every evening when your office closes for the day, during holidays when the office is closed, during busy periods, or on demand. We can even handle your dispatching around-the-clock. We’re there to answer whenever your business needs us. Here’s how a dispatch answering service works. A caller dials your regular office phone number. This could be a customer trying to reach an on-call technician, an employee checking in from a job site, routine scheduling calls, or any other type of call that your office may receive. Instead of ringing your office line and going to voicemail, burdening your staff with non-urgent requests, or sitting on hold while your office is busy handling other tasks, all calls made to your office are routed directly to our friendly call center agents, who immediately recognize that the call is for your business and greets the caller accordingly. There’s no one-size-fits-all approach for call dispatching, so our team is armed with your precise instructions and handle every call per your expectations. We can perform initial call screening and dispatch the call to the appropriate staff member if certain criteria are met, take a message for the office, or complete routine administrative tasks directly over the phone, such as providing general information or scheduling future appointments. Our dispatch answering service is completely customizable. We take calls as an extension of your organization. We can handle customer intake, determine message urgency, dispatch emergency issues, take and hold routine messages, and perform other telephone answering tasks on your behalf. Emergency Dispatching. Do you receive urgent calls that need an immediate response? Our dispatching call center can process the request, determine urgency per your criteria, then follow a defined dispatching process to ensure the call is sent to the appropriate party. We can continue working until the call is cleared and we receive confirmation that the matter is being addressed. 24/7 and After Hours Dispatching. Our dispatching call center never closes. Whether you use us 24 hours a day, after regular business hours, or during your busy periods is completely up to you. 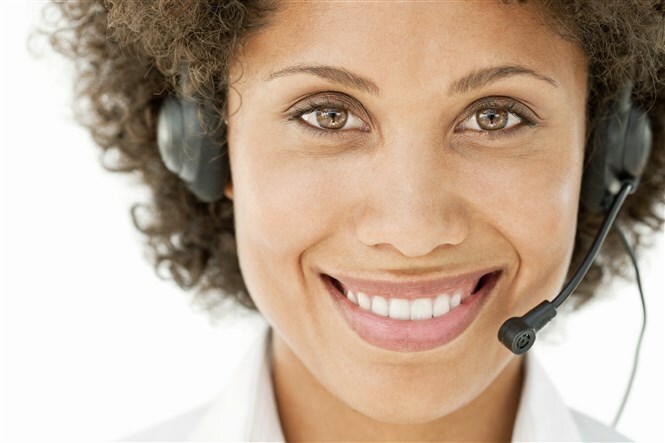 We always have trained call center agents available to answer and dispatch your calls. We can even change how we handle your calls based on the time of day or other criteria, such as only dispatching certain calls after hours or requiring new customers to agree to your payment terms prior to receiving service. Message Taking and Call Filtering. Give your customers a single phone number they can use to request support or notify you of urgent issues. Our 24 hour dispatching center can take routine messages or escalate issues directly to on-call personnel, allowing us to serve as your frontline support department and filter out non-urgent items while ensuring important issues get the attention they need. We can reduce costly distractions while decreasing your risk and liability. Dispatch Overflow Support. Don’t leave callers hanging when your dispatching center experiences a spike in phone calls. Our Overflow Call Dispatching Service is a cost effective way to ensure you always have backup telephone coverage and never miss an important inquiry. When your phone lines are busy, excess calls overflow to our dispatching call center, where our agents answer in the name of your company and handle calls as an extension of your team. Allow the friendly receptionists at Absent Answer to take your calls while you focus on managing your business. We are based in the U.S. and operate 24 hours a day, 365 days a year, delivering unparalleled support to companies across the country. New Customer Intake. A critical necessity for a successful marketing campaign is the ability to capture and handle sales inquiries on a 24-hour basis. This of course includes after regular business hours when your staff has gone home for the day. Absent Answer will work with you to customize call handling and scripting to ensure you don’t miss a single call. We can handle new customer requests differently than existing customers to ensure you capture important information, obtain consent to your billing policies, and more. Call Routing and Pre-screening. Many clients reduce their costs by 40% by using our specialized voicemail pre-screening service. Many service companies use our pre-screening service to inform clients of business hours or other information. The caller has the option of leaving a voicemail for office hours or speaking with an agent in our call center if they believe their request merits immediate attention. On-call Help Desk Services. Commonly referred to as Level 1 Tech Support, many technology companies find that 90% or more of technical support issues can be resolved with the simplest of instructions. Absent Answer agent fills out a “trouble ticket” identifying the level of importance and then notifies the appropriate staff. Virtual Secretary and Messaging Services. Never worry about the accuracy of your messages with our highly trained call center professionals. Your messages can be dispatched via a variety of methods: text messaging to your cell phone, sending emails, faxing messages, phone calls. Absent Answer’s automated message routing program eliminates human error when dispatching to multiple on call staff. Emergency Call Escalation. Some calls require immediate attention or support from an on-call professional or Tier 2 personnel. We won’t be able to run each call by you as they happen, so our team will be briefed on your individual escalation policy, ensuring we can handle every situation appropriately as they arise. We’ll adhere to your instructions at all times, and will monitor the situation until the appropriate person attends to any fault or the issue is resolved. Our 24 call dispatching service is a great way to keep on top of your business and ensure critical operations remain available to your customers, even when you’re not in the office. Quality customer service. Absent Answer’s dispatch answering service provides highly trained agents who deliver high quality customer service on behalf. Call recording and reporting. All calls are recorded and time stamped, with detailed call reports made available so that you can track usage and maintain compliance. On-call scheduling software. If you have rotating on-call personnel or specialized instructions based on the nature of the call, our specialized On-Call Scheduling software will ensure calls are dispatched to the correct person every time. When changes are made, they instantly update our system so that we reach the correct person. Web-based system integration. Our call center agents can utilize your web-based systems to perform routine office tasks, such as opening trouble tickets, placing orders, updating records, or scheduling appointments. Failsafe systems and disaster recovery. Our service quality is just one reason that successful companies turn to Absent Answer to help them grow. Our call center has taken great care to make sure we have redundancy in our operations. We realize that being available on a 24/7 basis for you requires us to maintain excellent uptime. Customized call scripting and routing. Our sophisticated software allows us to become an extension of your staff. We are able to handle sales inquiries, provide information and process orders. If your company has a mobile sales team or has multiple locations, we are able to quickly and efficiently connect prospects to the most qualified representative. We can even rotate sales inquiries automatically using our customer referral software. At Absent Answer, we’ve been providing call dispatching solutions since 1985. Each and every call, message, support issue and appointment request gets handled accurately – 100% of the time. That kind of reliability allows you to focus on managing your business while we worry about handling your important calls and serving as your 24/7 dispatching center. The personal touch that your customers feel is the same personal attention you can expect every day. To your callers, we are a friendly, helpful extension of your team. To your office and personnel, Absent Answer is an accurate and reliable virtual assistant who knows you and your business. We are your virtual assistants who never miss a call, take a day off, or call in sick. Why choose Absent Answer as your dispatch answering service? We only hire positive, outgoing people to assist your callers, so you can have peace of mind knowing your calls will be handled in the most courteous and professional manner. Our extensive training program ensures that all of our employees are prepared to answer any question a caller may ask. Absent Answer works closely with you to develop service benchmarks and create a consistent training program to ensure that all dispatchers are fully trained to provide your customers, prospects, office staff, and outside vendors and contractors with attentive service and exceptional attention to detail. To ensure uptime and availability, our telephone circuits are set up with a failover in case of fiber optic cuts. We maintain redundant servers for all critical systems and ensure all data is backed up with UPS and natural gas generators in case of a power outage. We can answer calls however you’d like. A common greeting is to announce the name of the business, thank callers for calling, and ask the nature of the call. How do you determine whether a call should be dispatched? Call dispatching rules are determined based on the nature of the call and whether it aligns with your policies. You can allow customers or on-call personnel to determine whether calls are urgent or not, or have our call center agents cross reference issues with a list that we keep on file. Our call center can be setup to follow the exact policies spelled out in your agreements and policy documents. How do you know who to dispatch calls to? Our on-call scheduling system enables you to maintain an up-to-date list of on-call personnel that can be used by our call center agents. We can reference specific on-call schedules based on the time of day or type of call. In short, we dispatch calls per your rules and expectations. Do customers still call our office number to reach you? Yes, your callers can call the same published business number after office hours. The only difference is that you forward that line to us when you’re unavailable, and the calls reach our answering service personnel instead. We can also be setup to handle your overflow dispatching calls when your regular office lines are busy. Ready for a dispatching call center you can depend on to help support your business? We are ready to help. Contact our account team today to discuss your dispatching needs and learn more about our affordable pricing plans.